Are you an avid fan of blockbusters? Do you also desire to contribute and impact the lives of those in need? 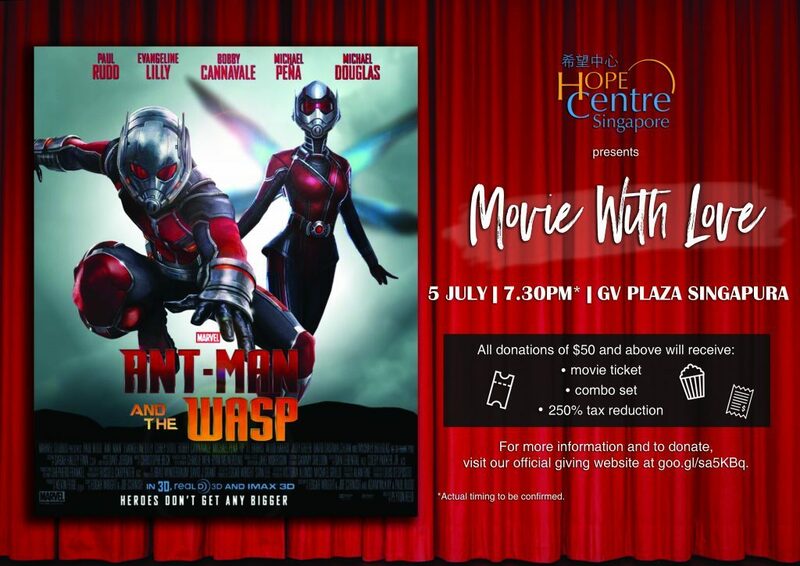 Through Movie with Love, your donations will help to support the various programmes and services of Hope Centre (Singapore) that engages and enriches the lives of the beneficiaries in our community, including children, youths and seniors. As an Institution of Public Character, all donations to Hope Centre (Singapore) through this fundraising initiative are also eligible for a 250% tax deduction. The deduction will be automatically included in your tax assessment once you’ve given your NRIC/FIN. Paper receipts will only be issued upon request. If you wish to receive a receipt, please call 6909 5422 or drop us an email at contribute@hopecentre.org.sg stating your contact details. 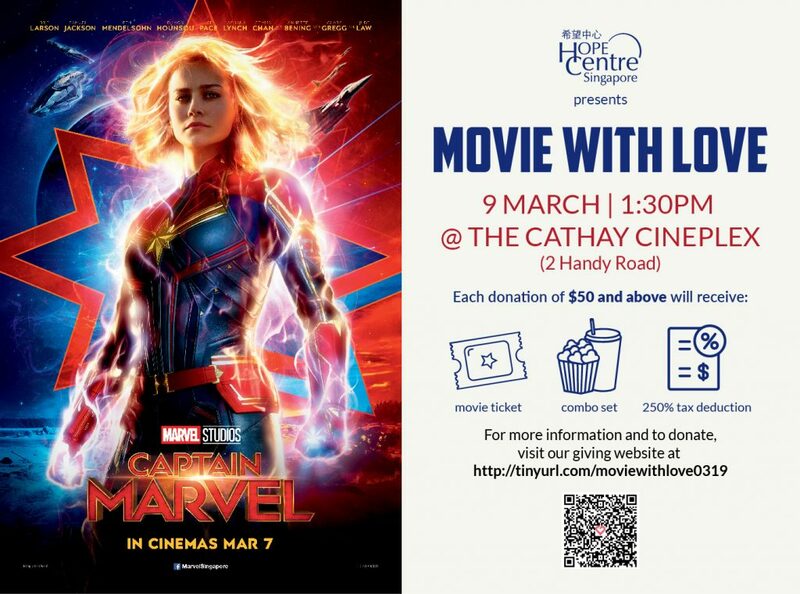 For any inquiries, please drop us an email at moviewithlove@hopecentre.org.sg.